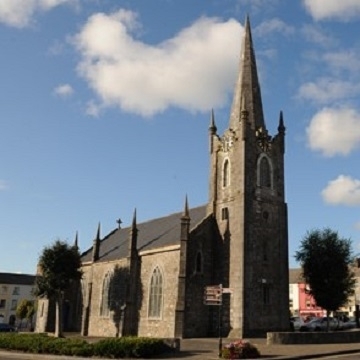 In 1988 a local voluntary committee began the transformation of the then Church of Ireland building into what is now St. John's Theatre & Arts Centre. It was completed in 1990. Since then St. John's has become a premier venue in the South West for the promotion of a monthly programme of Visual and Performing Arts, featuring the best local, national and international product in Theatre, Music, Dance and Exhibitions. Annually St. John's hosts approximately 160 Arts events comprising of 80 Theatre presentations, 60 Music/Dance events and 20 Exhibitions.